18- Buying Your Stocks at a Discount! 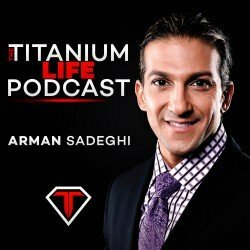 In this episode of the Titanium Life Podcast, Arman discuses the stock market and how everyone’s view of how the stock market works is backwards. You can never time the market, you should always go in for the long term and learn how to buy stocks when they go on sale! 16- Are You a Personal Development Junkie?